Today TSN launched their own standalone online streaming service, TSN Direct. 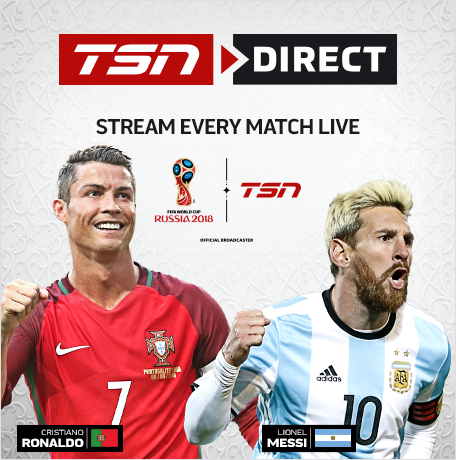 Cordcutters can now subscribe to TSN Direct for $24.99/month for access to TSN's five channels as well as bonus streams or major sporting events. The launch is just in time for the 2018 FIFA World Cup. All 64 matches will be available to stream live and on demand when the tournament kicks off on Thursday, June 14. TSN Direct can be used via your web browser, Android device, iOS device, Apple TV, Samsung Smart TV, and Xbox One. For French-language viewers, RDS Direct is also available for the same price. Unfortunately, unlike the majority of streaming services, there is no free trial for TSN Direct.